Engineering and construction designing has come a long way and Computer Aided Designing (CAD) platforms stand as in imperative tool for mechanical or industrial design engineers as well as architectural consultants and architects. 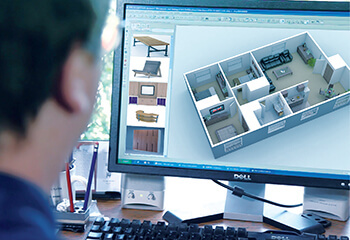 CAD software have been around for more than 50 years for top engineering and architectural designing companies and the evolution of the CAD lineage can be traced from hand drawings to CAD drafts and today to 3D design drawings and models; sometimes rendered digitally. 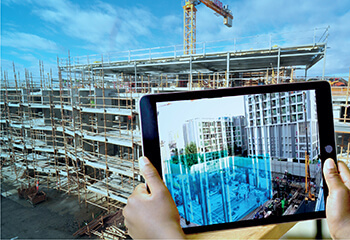 Simultaneously, engineering designs have also seen a sudden rise in new emerging technology like augmented reality (AR) and virtual reality (VR) especially in construction and manufacturing sector. Growth of these technologies relies upon the native 3D CAD models converted to lightweight models compatible to AR and VR headsets. 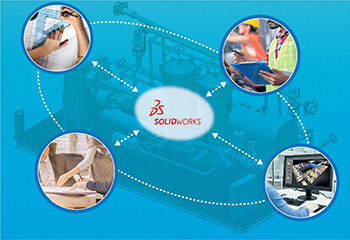 On the other hand, advent of Industry 4.0 also emphasizes upon having native CAD models of the equipment to leverage its applications such as smart manufacturing and digital twin. Manufacturers, design engineers, contractors and architects have embraced CAD designs as a fundamental requirement. Also, CAD designers have risen to power who can deliver excellent 3D designing and modeling services across technologically advanced nations including the USA, UK, Canada, Australia and numerous European countries. 3D CAD designing is indispensable; and even manufacturers tend to shift from AutoCAD 2D drawings to 3D models with PMI annotation and MBD in SolidWorks. However, converting 2D to 3D for mechanical and architectural designs isn’t as easily done as said. It involves considerable skills and seeking help from an outsourcing CAD design provider is the best option from view point of cost (usually fees charged at hourly rates), quality and competence in any industry leading software. Why choose 3D CAD designing/modeling? Engineering design and architectural design firms have seen the worth in 3D CAD designs and deliver outsourced 3D designs of unprecedented quality. Today, most design engineers take advantage of cloud and outsource 3D modeling while they focus more on design optimization and innovations. Enlisted is some of the core competencies that 3D CAD designs and models serve which otherwise would elongate design development cycle time, or at worst – make it impossible. 3D makes it simple to understand and explain every design feature. For each design curve there is a realistic depiction in 3D as against to 2D, where the drafter uses only lines and arrows. The need to explain every design detail is eliminated and saves time for design engineers. When design intents are clearly stated by the mechanical and industrial design engineers, manufacturers are less likely to misinterpret it and make mistakes. Moreover, a comprehensive 3D product design model will open the avenues to enact upon deploying technologies like Augmented Reality and Virtual Reality with during design planning stages and beyond. A professional 3D modeling service provider who takes outsourced CAD projects is highly skilled at multiple software including SolidWorks, Creo, Solid Edge, AutoCAD and every other leading platform is capable to accomplish any project with any complexity and design detail needed. CAD software has amazing functionality of modeling the parts and storing them for future referencing called CAD libraries. In fact, sketching standard parts allows using the part several times once modeled and stored in the library. But the challenge in utilizing this incredible feature of CAD software is lacking time, as modeling multiple standard components maybe fasteners of standard screw thread, hexagonal bolts. Similarly for construction industry, Autodesk Revit allows creating base frame templates and Revit families which can be customized when they are to be utilized for project specific requirements. However, the same challenge of time constraint, along with templates not displayed, persists for modeling several models for columns, foundations, beams etc. While any Revit drafter with little look around the software can fix the challenge and retrieve preloaded templates, abiding the timeline is difficult. 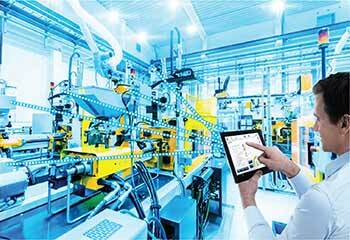 For both these industries, engineers cannot overlook the advantages of 3D models owing to amount of time consumed. An alternative to this is an external 3D CAD modeling service can convert your 2D drafts, paper drawings and PDF files to 3D models, PDM vaults, Revit templates and a lot more for efficient design data management. As the CAD modeling process keeps on evolving, today, MBD and PMI annotation in 3D CAD models suffice the need of a design engineer as well as the manufacturing shop floor needs. All the information pertaining to surface modeling, geometry and curvature, GD&Ts, tool angle, pressure, surface finish etc. is storied in one single file. 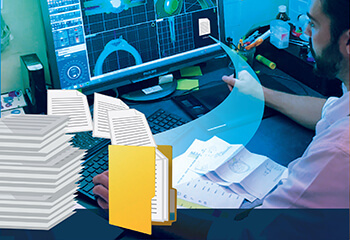 This makes it a lot easier for the design data management division as most of the paper work is eliminated for 3D architecture design experts. While an in-house team of mechanical engineers sits and models all these, design optimization, value engineering and NPD suffers big time. Manufacturing industry has embraced CNC cutting, computerized welding and several automated fabrication processes. 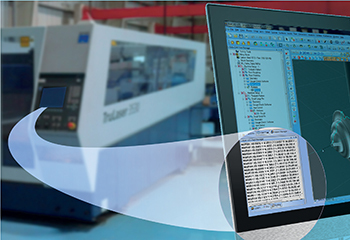 CAD/CAM software together will not only let you check the tool path before the operation takes place, allows the fabrication shop floor manager to figure out the finer details. Any 3D CAD model can be magnified and rotated around full three dimensional axes and deliver a greater sense of the design features. In fact, with Virtual reality HMDs, the entire fabrication processes can be visualized along with the details of tool speed, feed rate, RPMs, etc. can be known prior to the fabrication process and controlled. Internal features too can be examined clearly with a lightweight 3D model compatible to AR/VR made from native CAD models of mechanical parts or components. The most challenging task to design engineers and architects is explaining design intent and market the idea of a good and ergonomically design. Designs are becoming more selective and customized as per the client industry and intended use. This often makes it difficult for design engineers to keep ready designs or need extremely strong marketing strategies in order to reach even the breakeven point for investments and returns. Animating a 3D model, creating virtual walkthrough and sequential animation of the assembly processes show a positive impact on final outcomes of the products and construction works. A rendered 3D model of a floor plan is extremely valuable in explaining clear boundary demarcation than simple architectural draft; and the animated walkthrough of same 3D model puts the design firm on a level above altogether. While for manufacturers, an animation video of sequential steps of assembly prepared using SolidWorks and Photoshop, will naturally put result in better assembly of parts in the assembly. Going a step further, as-built 3D models for architectural designs, 3D architecture interior designs and mechanical assembly models with augmented reality devices such as helmets for construction workers or HMDs used in industry improves design communication between the designer and the client or manufacturer. 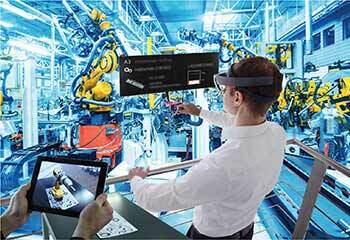 Though the application of augmented reality in either of the fields, mechanical or construction, will involve inclusion of object recognition, sensor and display, AI, and much more and strike really complicated, the applications of AR in manufacturing units at companies like Boeing and Volkswagen stand as exemplary instances. With the flare of automation across the manufacturing industries and constriction site, let us not forget the roots of fabrication altogether. Designing lies at the center of manufacturing and construction, this is to say that any disruption on later directly impacts deigns. IIoT, in crux, demands inclusion of sensor and chip fitting into the devices right when the designs are prepared which requires some fundamental shifts in design mannerism of drafter’s practices. It requires cross disciplinary approach in deigning electronics and software engineers along with civil or mechanical design engineers. And cross disciplinary communication are critical, while 3D designs are effective. They provide better means to imagine the geometry over traditional drafts. Secondly, MCAD and ECAD are a few platforms that will facilitate merger of electronics and mechanical/civil designs. Thus, when designs are done on a 3D CAD platform, it opens several new avenues for advancements in downstream processes. Looking at all these benefits of 3D design solutions, design firms and manufacturing units cannot simply think about ignoring them or compromise with the quality. But most design engineering companies and construction design firms know this; their major challenge is dedicating enough time for modeling since reducing product design development cycle time is the prime focus. Design engineers cannot dedicate sufficient time, period. However, there are outsourcing companies offering CAD designing services of excellent quality charged at hourly rates. Also, since drafters at professional CAD design services provider have the fundamental activity, their skills are excellent and productivity is more, obviously. Outsourcing/Offshoring partner acts as a virtual assistance to the design and manufacturing companies who want to gain an edge over their competitors and make the most of their design engineers’ talent as well as the rising technologies associated with AR and VR.